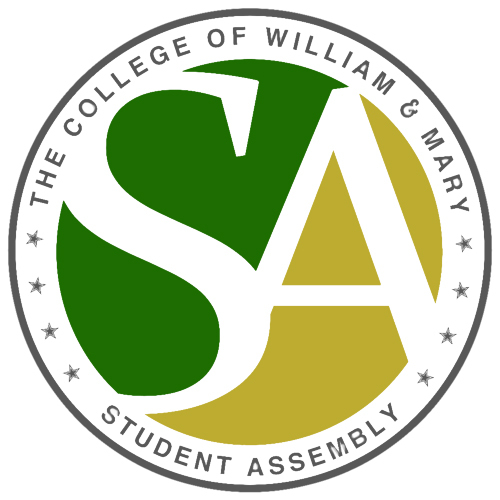 The campaigning begins as College of William and Mary students across campus begin to change their Facebook profile pictures in support of their various Student Assembly president and vice-presidential tickets for the 2013-14 academic year. Kicking off today, campaigning will take place until election day,Thursday, Mar. 21.Following last year’s six-ticket election, four president and vice president pairs will run in this year’s election. The candidates are: Stacey LaRiviere’14 and Alicia Moore ’14, Dylan Frendt ’14 and Courtney Cox ’14, Chase Koontz ’14 and Melissa Alim ’14, and John Woo ’14 and Griffin Stevens ’14. LaRiviere currently serves at Secretary of Public Affairs and Moore acts as Secretary of Student Life. Both have served as undersecretaries in the past and met while working at the SA day of service last fall. The pair emphasized collaboration with other student organizations community service in the surrounding community. Though Frendt and Cox do not serve in the SA, both currently act as Hall Council presidents. The pair met over the summer as transfer students and their campaign calls for more openness. Frendt, who gave the Charter Day speech, plans on using social media platforms and a monthly newsletter to inform students about the SA’s initiatives, especially in relation to the budget. Representing the third presidential ticket, Woo’s leadership experience includes serving as class senator his sophomore year and, more recently, as president of Delta Chi Fraternity. Stevens has also held leadership positions within the same fraternity. Woo and Stevens met as roommates in Taliaferro Hall three years ago. “We’re extremely passionate and dedicated to improving the lives of students at William and Mary,” Woo said. Woo and Stevens call for more student involvement, especially in relation to concert artists and more late night food options. They also plan on establishing a 24-hour study space. “Most of our points are centered around [more] student input on major things that happen on campus,” Stevens said. Finally, Koontz serves as Secretary of Outreach following a two year stint in senate, where he served as Chair of the Outreach Committee during the 2011-12 academic year. Alim, although not involved in the SA, is involved in organizations including AMP and the Student Organization for Medical Outreach and Sustainability. This pair met through mutual friends during their freshman year. Their campaign highlights collaborating with student organizations to continue running large scale events. Koontz emphasized continuing and expanding student services such as STI testing and shuttles and is interested in providing more effective transportation for students to leave campus for weekend trips. The 2013 Senate elections see a number of incumbents for all three classes at the College. Chandler Crenshaw ’14, Peter Lifson ’14 and William McConnell ’14, all incumbents, will campaign alongside Joseph Scholle ’14 for the four Class of 2014 senate seats. For the Class of 2015, the incumbents Colin Danly ’15, Kendall Lorenzen ’15 and Jimmy Zhang ’15, will run alongside Dan Kennedy ’15 and James Walker ’15 for their class’ four positions. Two incumbents, Daniel Ackerman ’16 and Yohance Whitaker ’16, as well as Keaun Barrett ’16, Ryan Corcoran ’16, Gabriel Morey ’16 and Seth Opoku Yeboah ’16 are running for the four Class of 2016 senate seats. For the Class of 2014 Undergraduate Council, Trent Johnson ’14, Khaki LaRiviere ’14 and Grace Martini ’14 are running for president while Philip Lavely ’14 and Jeremy Dreis ’14 are running uncontested for vice president of advocacy and vice president of social affairs, respectively. Current Secretary of Finance Brett Prestia ’14 is running uncontested for Class of 2014 treasurer. No student is running for Class of 2014 secretary. For the Class of 2015 Undergraduate Council, Brianna Buch ’15 and Liam MacDonald ’15 are running for president while Carlton Smith ’15 and Jim Carey ’15 are running uncontested for vice president of advocacy and vice president for social affairs. No students are campaigning for the Class of 2015 secretary or treasurer positions. For the Class of 2016 Undergraduate Council, Dan Sutherland ’16, Daniel Rice ’16 and incumbent Ethan Teicher ’16 are running for president. Ace Goldstein ’16 and incumbent Yousif Al-Amin ’16 are running uncontested for vice president of advocacy and vice president of social affairs, respectively. Raymond Schein ’16 and Stephan Cotner ’16 are running for treasurer while Quetzabel Benavides ’16 is running for secretary.